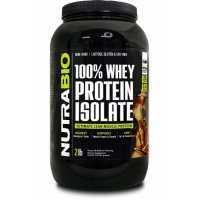 Whey protein isolate is a dietary supplement and food ingredient created by separating components from milk. Whey is a by-product of the cheese-making process. Whey can be processed to yield whey protein in three forms. The difference between whey isolate, whey concentrate and whey hydrolysate, is the composition of the product, particularly the protein content. Whey isolates contain the higher percentage of pure protein and can be pure enough to be virtually lactose free, carbohydrate free, fat free, and cholesterol free. They are highly bioavailable, are very quickly absorbed into the body, and have a high concentration of branched-chain amino acids (BCAAs) which are highly concentrated in muscle tissue, and are used to fuel working muscles and stimulate protein synthesis. Whey protein has the ability to be digested very rapidly and help return the post-workout body back from a catabolic (muscle-wasting) state to an anabolic (muscle-building) state. Whey protein isolates are also widely used in infant formula to provide a natural source of amino acids for optimal growth and development, as well as for protein fortification of bars, beverages, dairy products, extruded snacks and cereals and other food products. 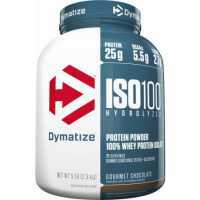 Dymatize ISO 100 is one of the most advanced and effective proteins available and was developed to give 100% of what you need to support muscle growth and achieve your ambitions. 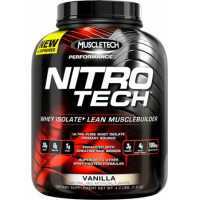 ISO 100 provides 25 grams of super-fast absorbing 100% Whey Proteins..
776, MAN Sports Iso-Protein - 2lbs, , $ 370MOP, msiso, MAN Sports Supplements, Protein..
MuscleTech Nitro Tech Performance Series is the most powerful protein formula ever developed and it is scientifically engineered whey isolate and lean musclebuilder formula designed for all athletes who are looking for more muscle, more strength and ..
MuscleTech Nitro Tech 100% Whey Gold Each scoop contains 24 grams of ultra-high-end micro filtration protein, incredible pure protein powder is equipped with whey protein peptide and whey protein. Each spoon is supplied with 5.5 grams of bran..
Mutant Iso Surge is formulated with high quality ingredients. 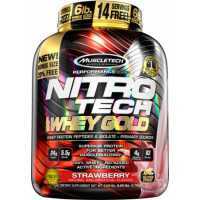 It contains NEW fast-acting whey protein isolate and hydrolysed formula. 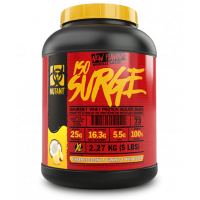 Mutant Iso Surge features premium high quality protein with extra bio-availability and a high absorption rate in.. Nature's Best Isopure Zero Carb is the purest form of whey protein you can get. One unexpected benefit of using Isopure Zero Carb is that it contains a multivitamin/ mineral supplement within it. Two scoops provide you 50% of the Daily Value for vita..
NutraBio Contains 100% Whey Protein Isolate with Absolutely Nothing Else. Absolutely NO whey concentrate, Soy or ANY other cheap proteins blendeds. There is NO maltodextrin, dextrose, Creamers or any other filler in this product. 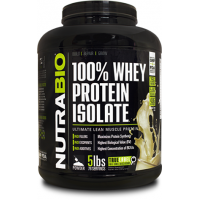 NOT even add colo..
NutraBio Contains 100% Whey Protein Isolate with Absolutely Nothing Else. Absolutely NO whey concentrate, Soy or ANY other cheap proteins blendeds. There is NO maltodextrin, dextrose, Creamers or any other filler in this product. 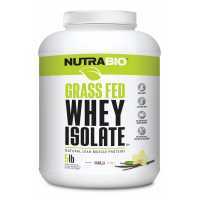 NOT even add colorin..
NutraBio Grass Fed Whey IsolateNutraBio Grass Fed Whey Isolate delivers 25 grams of 90% pure, clean protein sourced from dairy cows that have a 100% grass-fed diet. It is nondenatured, non-GMO, and hormone, gluten, and lactose-free. 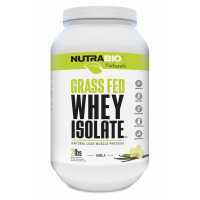 What's more, o..
NutraBio Grass Fed Whey Isolate delivers 25 grams of 90% pure, clean protein sourced from dairy cows that have a 100% grass-fed diet. It is nondenatured, non-GMO, and hormone, gluten, and lactose-free. What's more, our grass fed isolate is natural..